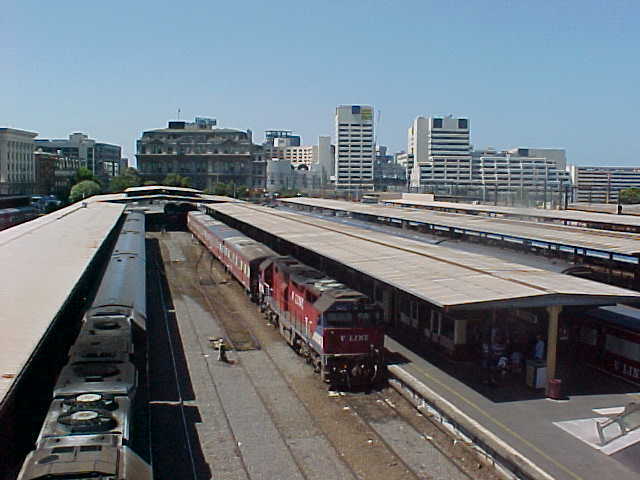 Spencer Street Station is the terminus for country train services as well as interstate standard gauge services to Sydney and Adelaide. 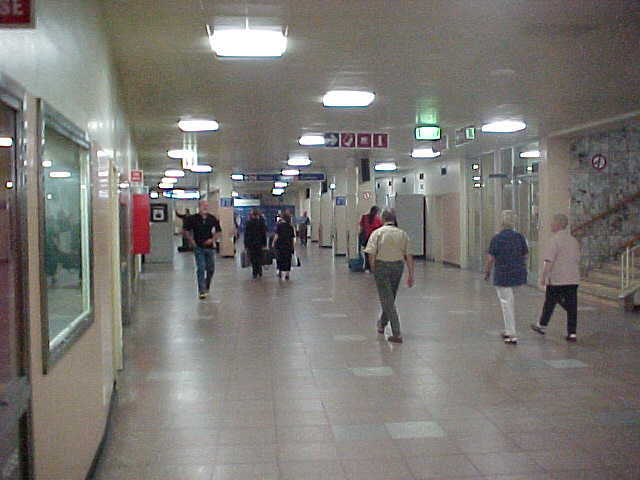 The station is currently undergoing redevelopment with a new station building being constructed to replace the terminal built in the 1960s and other older sections dating from the start of the 20th century. 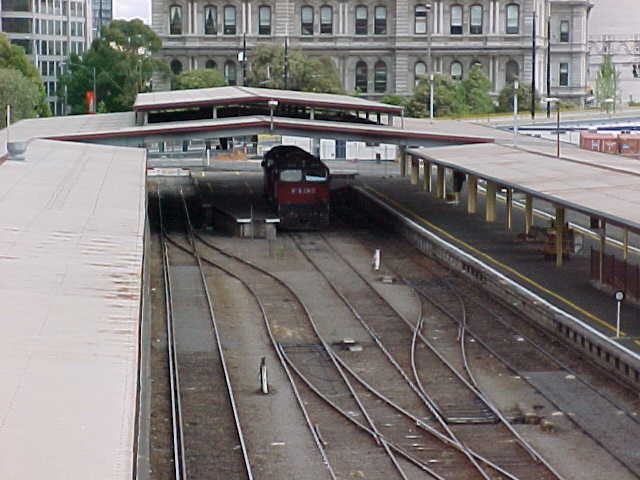 The station is being renamed to "Southern Cross" as part of a Public Relations exercise to separate the reconstructed station from its former existance. The new station includes a revolutionary waved roof over most of the platforms. The station is being constructed as part of a "Public Private Partnership" or PPP and has suffered from substantial cost blowouts and substantial delays during construction. The station contains 14 platforms. 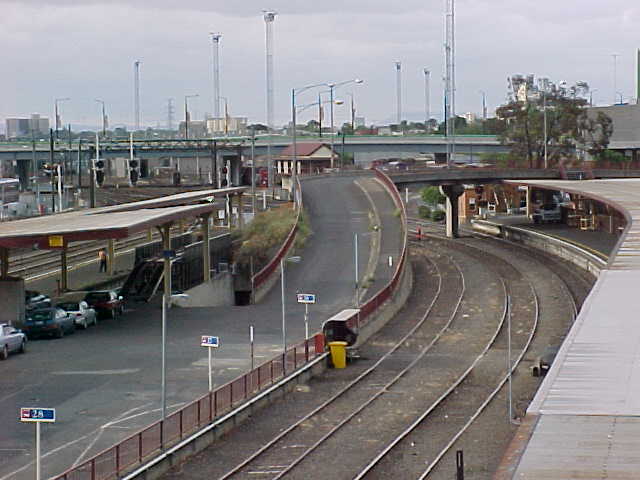 Platforms 1 and 2 are located on one sided platforms with dual gauge track and vehicle access for trailer rail. 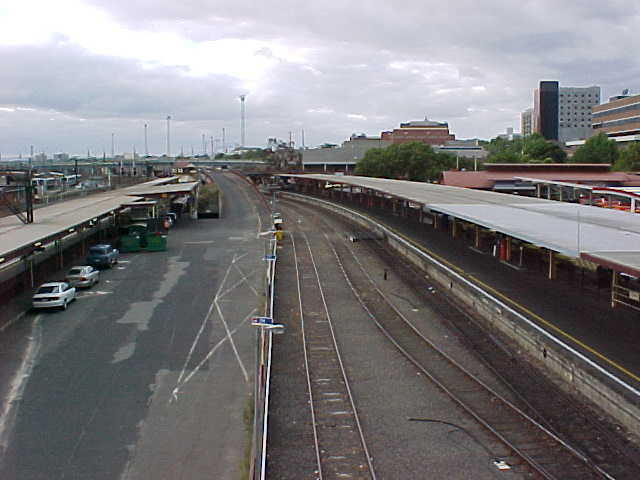 These platforms as well as platforms 3, 4, 5, 6 and 7 are dead end platforms, are not electrified and are used only for counttry services to the north and west. 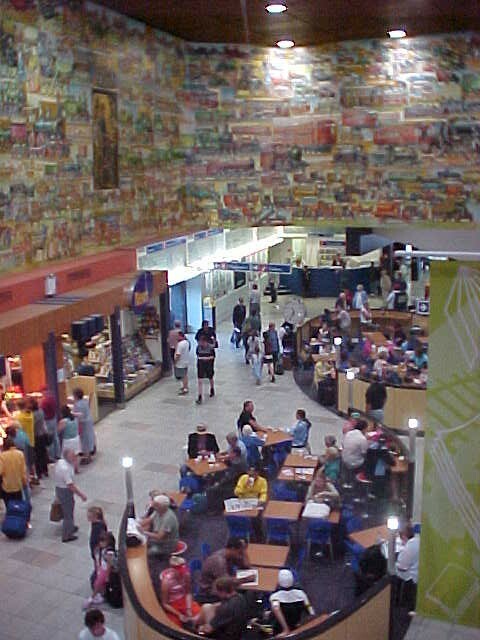 Platform 8 is also used by country services but is electified and also provides through access to the south. 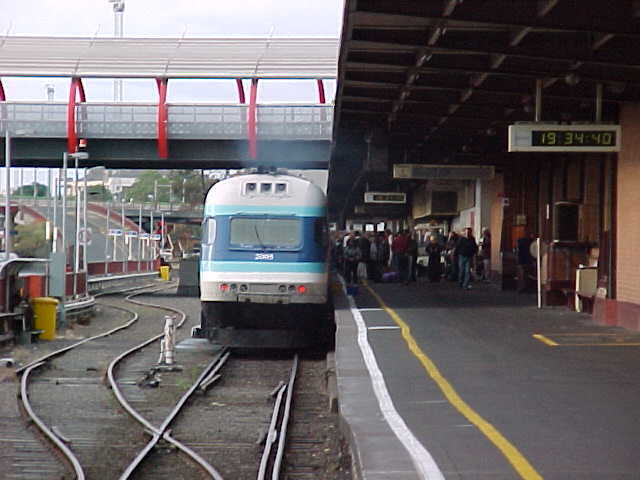 Platforms 9 to 14 are electrified and are used by suburban services as part of the City Loop. 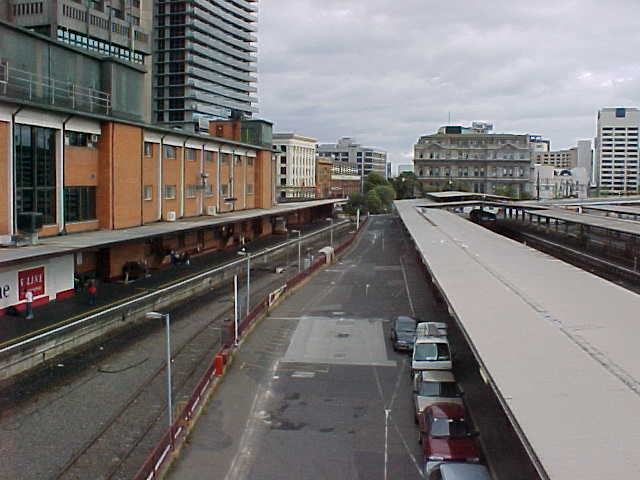 A subway exists at the southern end of this station with a number of different exits on either side of Spencer Street. This is no longer available for public use following the redevelopment of the station forcing all passengers to access the platforms via either the Collins Street or Bourke Street Bridges. 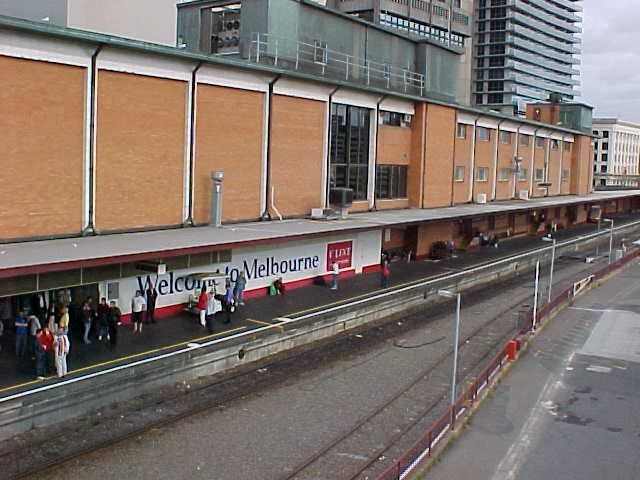 The Bourke Street footbridge was added at the northern end of the station during the 1990s to prvoide access to the Docklands precinct to the west while the Bourke Street bridge was built in the early 2000s.